The calendar shows October – the days become noticeably shorter and the nights cooler. To heat it is still too warm, not to heat but soon too cold. The solution? A tiled stove. The perfect solution? A tiled stove from EDER. 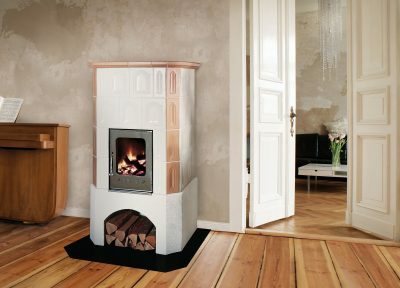 The EDER tiled stove has a very special feature that makes it unique on the market: its innovative patented thermo system combines the advantages of a “Swedish stove” with those of a classic tiled stove. 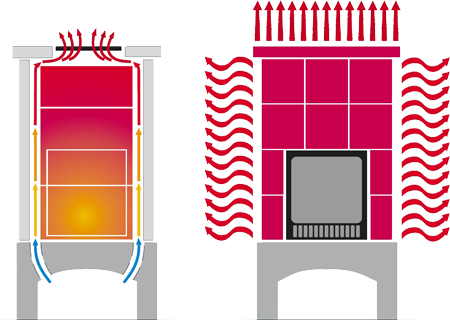 When the thermo flap is open, the room is first warmed up very quickly and is thus at a comfortable temperature in a very short time. After heating up, the thermo flap can be closed and the room can be kept warm for hours by radiant heat.